Styles range from very short and natural to double lash all out glam. Save over 15% off the price of buying each pair of lashes individually. Excellent gift for any beauty lover or for a makeup artists' kit. This is truly a MUA's dream! 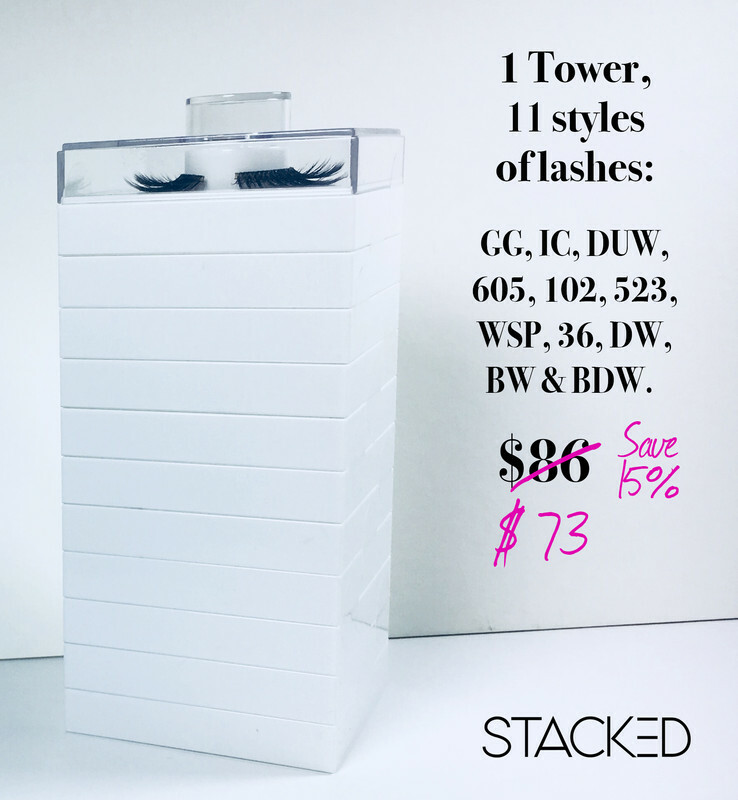 Store in the space saving stackable lash trays for reuse. All lashes are made of 100% sterile human hair, except for GG and IC lashes, which are made of silky synthetic fibers.